Readmissions are a common — and costly — issue for healthcare. Patients who suffer from cardiovascular events are at high risk for winding up back in the hospital in less than a month. Heart failure, which is the leading cause of hospitalization among adults 65 years of age or older in the United States, is also one of the most preventable readmission causes. The problem is also costly. Annually, more than 1 million patients are hospitalized with a primary diagnosis of heart failure, accounting for a total Medicare expenditure exceeding $17 billion. But unless patients follow a treatment plan and communicate when there’s a problem, they are much more likely to be readmitted. Good population health, reimbursement rates and publicly reported quality outcomes all rely on successful patient engagement. 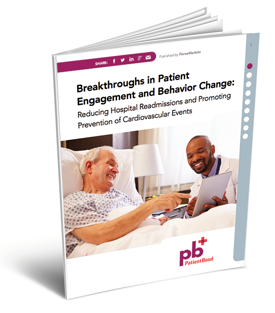 Fortunately, there are solutions to this patient engagement challenge. Fill out the form to download a copy of the whitepaper today.